4x glass filter tips mixed. 1 of each of my filter tips. 1x 6mm round end, 1x 6mm flat end 1x 9mm round end and 1x 9mm flat end. 9mm outside Diameter. 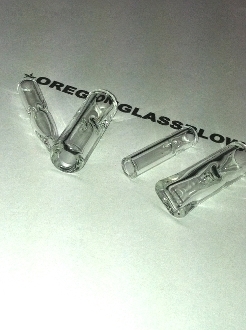 (great for blunts) 6mm outside diameter (great for joints) Annealed for strength. Made in Oregon.